DA takes aim at leaders implicated in state capture - SABC News - Breaking news, special reports, world, business, sport coverage of all South African current events. Africa's news leader. Mmusi Maimane says he was confident that none of his party leaders would be implicated in the sate capture. Democratic Alliance (DA) Leader Mmusi Maimane says the party will pursue the leaders who have been implicated in the Commission of Inquiry into State Capture. He says they must not only be held accountable, but must face the full might of the law. Maimane was speaking during his Kasi-to-Kasi tour in Durban to encourage residents to register to vote. With a population of just over 11 million in KwaZulu-Natal and only half of this figure registered to vote, political parties are on a campaign to encourage potential voters. DA leaders took to Durban’s townships urging locals to ensure to register. The province still has more than a million people with missing information on the voters roll and the youth numbers are slightly low. 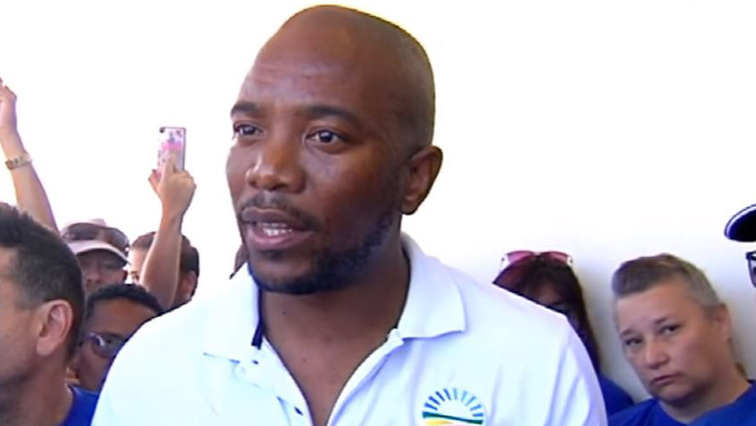 Maimane believes his party’s prospects in the province are high come the elections. Maimane says they have a plan for KwaZulu-Natal as the DA. Locals took the opportunity to voice their concerns saying they were happy to meet Maimane and that they want assistance with better services. The current Bosasa saga was also raised. Maimane says he was confident that none of his party leaders would be implicated and that the DA would ensure those fingered are also criminally prosecuted. Maimane has also given the assurance that the DA would engage families of Life Esidimeni victims whose names are written on a DA election billboard.